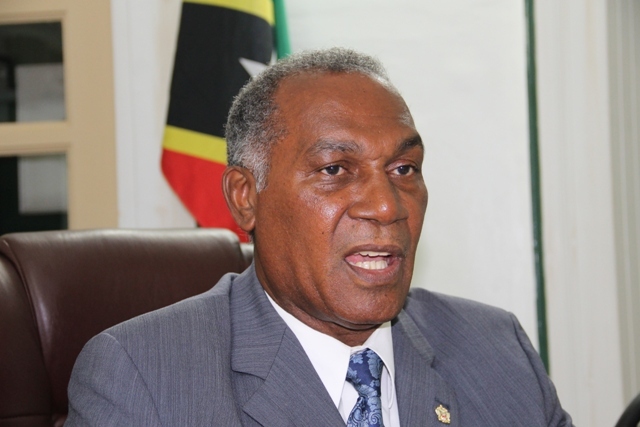 NIA CHARLESTOWN NEVIS (SEPTEMBER 07, 2015) — The following is an address delivered to teachers on September 08, 2015, by Premier of Nevis and Minister of Education in the Nevis Island Administration (NIA) Hon. Vance Amory, on the occasion of the commencement of the new school year on September 07, 2015. My fellow educators, teachers and may I say, parents as well because this statement is one which purports to address all of our people engaged in the education of our children on their return to school on September 07. Let me first start by thanking each one of you teachers who chose the path of teaching as your vocation. I think you made this choice against other temptations and trappings which other professions offer to become a teacher. Clearly, it’s a labour of love. It is a task which is sacrificial and one which we as a government value to a very high degree. None of you is a conscript and economic circumstances did not force you into this profession. With the presence of mind and the clarity of vision you chose to be a teacher, recognising the great sense of fulfilment that comes along with this profession. In every sense of the word, you are all role models for our people. By your instructions, you have the power to change the trajectory of children’s lives for the better. You stir our children’s curiosity and illuminate the power of learning in their minds. It is not surprising that the single biggest influence on a child’s academic growth is the quality of the teachers. It is not their socio-economic background, not their family background but the quality of the teacher who stands before them and instructs them in the class. Henry Adams rightly said: “A teacher effects eternity – he can never tell where his influence stops”. Teachers you have a weighty responsibility but also an amazing privilege as you start the new school year 2015. As we all know and appreciate, teaching is one of those rear professions where you get a clean slate every year. The start of the school year such as now always brings great hope, expectations and possibilities. You expect the best from your students as we expect from you as their teachers. Indeed we do recognise our job at the Ministry and the Department of Education is to enable you and to empower you, so that you can empower your students and you can illuminate them to view the future through fresh eyes. As a government, we commit ourselves to providing you with the tools and the resources necessary to fulfil your duties. While we may not be able to provide you with everything you want, we feel that it is our responsibility to do all we can to support and assist you in your teaching endeavours. As you return to your classrooms, we know that some days will be better than others. You are working with children and you should expect mountains and valleys. However, I trust that the heights of your mountains would greatly exceed the depths of your valleys. If you do not leave school the majority of those days with a smile on your face, with a feeling of fulfilment, having touched the lives of some child be sure to speak to someone about it. Speak to your principal, an education officer or even to me. If you are not happy, it is highly unlikely that your students will be happy and that is no way for you to spend six or eight hours or your day. Throughout the course of this school year, I urge each and every one of you to create new and exciting stories with your students and share them with others. Discuss new strategies with your fellow teachers. Discuss a child’s potential with his or her parents and I would be eager to hear your stories as well and in turn, I will be happy to share them with anyone and everyone who will listen because the success of you our teachers and our students is the success of the entire country. As the Minister of Education in the Nevis Island Administration, I heartily endorse the position expressed by the United Nations Educational, Scientific and Cultural Organization that, “Education is still humanity’s best hope and the most effective means of achieving sustainable development”. Therefore, my goal for our education system is quite simple for every young person in our island to have the freedom to use education as their compass to choose a path in life that is right for them. I want all of our students, to leave school at the end of their tenure, those who are leaving this year and those leaving from one class to the next during the course of this year, with the relevant qualifications, I want them with your instrumentality, to leave school with the confidence and the character to be able to decide their future for themselves and to become authors of their own life stories. Sadly, there are still students who leave school without the exam passes which they desire or need. They leave school, in a few cases, without the literacy skills, without the numeracy skills or the ability and the strength of character which will enable them to make wise choices for the rest of their lives. These ones are unable to secure the jobs that they want. They are unable to provide for their families. They are unable to adequately participate in society and as a result of this they could find themselves trapped in the downward spiral of anti-social behaviour. In the course of this school year, I want us to begin to seriously reverse this trend. Whilst we see some students, as I reported, in this last academic year doing well, there may be some who have not done so well and I would like to say that each child in this school year, achieve the level of his competence so that he will be happy with his performance. That is a challenge for all of you as teachers and a challenge for all of us as educators and in the Ministry of Education as well. I take no pleasure in saying that every child who leaves school without the tools to succeed is really a challenge to us in our societies. Let me once again underline my sincere belief in the power and importance of teaching and the power of us teachers. I do believe that, if you take a child from whatever background and maximise the amount of time spent with a great teacher, that child’s life will be forever changed. There is not be a single person who may be listening to this broadcast whose life was not touched by a teacher at some stage in his or her life and so today, as I address you at the beginning of this school year, I want you to believe that as teachers you have the power, you have the ability to transform lives. You have the ability to sensitise our children and to ensure that they needs as students are met. There is a definite need for us to encourage parents and guardians as well, to instil in our children good discipline and positive values. The value of honesty, the values of hard work, the values of respect for themselves and respect for others, respect for their teachers, respect for elders and respect for public property. I believe, if we are able to form that partnership between teachers, parents and the government, in doing this, we shall be able to make a safer and much more creative and improved learning environment. Educated and well informed parents will help us to move away from a situation where vandalism is regarded as a way of life and violence is accepted. We must change this attitude, this concept and this perception. We van all together – teachers, parents, guardians, education officers, the Ministry of Education we can make appositive change. We can do it if we try; we can do it by trying a little harder. In closing, I urge all of you our teachers to go forth and help our students to be happy. Help them to learn. Help them to achieve. Do not be afraid to face the challenges which the children may pose to you. Do not be afraid to find a way of responding to the difficult questions which they may ask. They are only testing their own search for knowledge. I urge you to try new things. Explore new frontiers. Use the technology where necessary. Challenge your students and change their lives. To quote Marcus Garvey who said “the ends you serve that are selfish will take you no further than yourself but the ends you serve that are for all, will take you to eternity”. May you go forth with a single minded devotion to the critical task of shaping the lives and the future of our nation’s youth during this new school year and may God give you the courage to accomplish your tasks for the good of our children and the good of humanity. God bless you as you embark on this new school term.